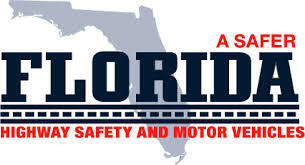 The Florida Highway Patrol (FHP) announced today an additional enforcement week dedicated to the Ticketing Aggressive Cars and Trucks (TACT) campaign will begin September 23, 2013 and run through September 27, 2013. The TACT campaign is targeted to highlight the danger of aggressive driving behaviors when interacting with large trucks on the road. Motorists are at a serious disadvantage if involved in a crash with a large commercial vehicle. Large trucks can be as long as eighty feet and weigh up to twenty tons. The large size also means it takes forty percent longer for them to come to a stop than a smaller vehicle. Troopers statewide will be on the lookout for car and truck drivers who exhibit aggressive driving such at following too closely, unsafe lane changes and speeding. Stay out of the No Zone: Be aware that large trucks have large blind spots (also known as “No Zones”). Pass trucks with caution: Pass on the left side for maximum visibility and maintain a constant speed. Don’t cut trucks off: Be sure to leave plenty of room when you pull in front of a truck. Large trucks simply can’t stop as quickly as cars. Practice patience around larger vehicles that are not traveling at the same speed as your vehicle. Don’t drive distracted: Anything that takes your full attention off of the road, even for a second, could be deadly. This includes texting, changing the radio station, talking to passengers, etc. For more information about TACT, FHP’s Commercial Motor Vehicle Enforcement and No Zones, visit FLHSMV.